Marriage proposals used to be so straightforward. These days, the more extravagant the proposal, the better – and Michael Banks takes the cake for one of epic proportions. Banks, 27, scaled the 600ft Morro Rock in California and proposed to his girlfriend who was watching via FaceTime. The good news? She said yes. The bad news? He got stuck on the way down and had to be airlifted to safety. Morro Bay fire Capt. Todd Gailey told the Chicago Sun Times how it all went horribly wrong. 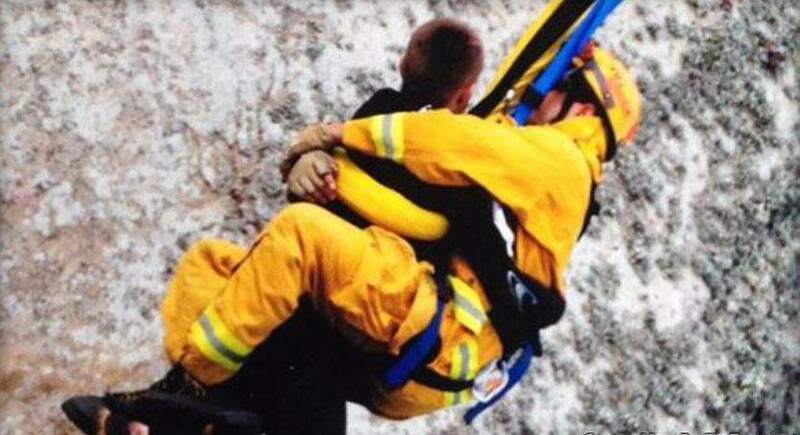 Rescuers were alerted, and eventually he was rescued via helicopter and hoisted to safety. Gaily added that Michael was relatively calm but ‘a little unnerved’ during the rescue. Yeah, we probably would be too.